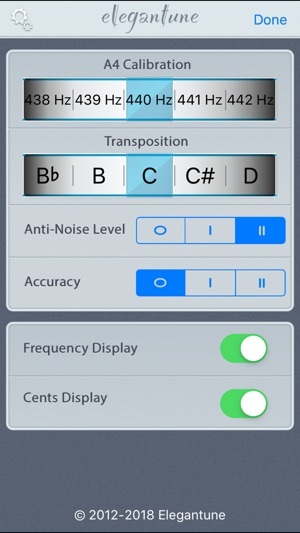 Elegantune is a professional chromatic tuner app that used to tune your instrument quickly and accurately with your iPhone and iPad. It supports guitar, ukulele, bass, violin, and piano, etc. Elegantune is designed specially for stringed instrument like guitar, bass, ukulele and violin. Elegantune also can be used to check your piano whether is it under a good condition, we specially designed a kind of curve that can easily and vividly reflect your device. 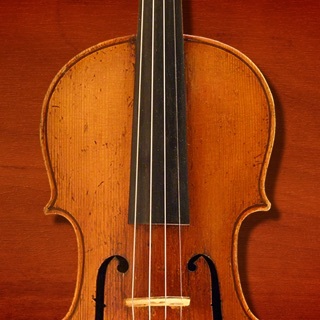 You will fell so easy as the help of the highly accurate tuning. The humanization design and three grades setting with high sensitivity, so that you can set your device better according to the disturbance of environment. 9. Support for transposing instruments. Combination of signal with curve: in our piano tuner, signal attenuation resulting in the frequency offset is an important reference value. The price of our professional software in the market can be 100 to 599USD, which may not be suitable for general people; through simplification, we make the fully functional tuner for ordinary instrument. 3. Among three anti-noise levels, when adjust to the lowest level you will detect the sound frequency that is hard to catch, if it’s a very short high-pitch. Now we even can detect the 88-tone of piano which is definitely unique for current ordinary tuners. 4. Strong Bass picking technique make you gain the needed date in curve. Can adjust even for wind and pipe instruments. Elegantune Corporation has a history of 15 years in designing Chromatic Tuner. Our company has designed many Chromatic Tuners for famous and independent brands for different purpose, such as for pointer and for piano. With the most advanced sound tuning technology in the world, this is the first time that our company designs our own brand—tuner app. After testing on hundreds of instruments, we now specially recommend Elegantune, which works perfectly for majority of instruments. Elegantune has been updating and improving for a long time, at first we used and referenced peterson tuner’s strobo mode and other products’ advantages, but we do not have a big success. Under one year’s reforming and improving, the UI and practicality of our products both have a very big promotion. Our target is that make every customer who choose us feel satisfaction and comfortable. We trust we will be the best and looking forward to get your feedback on our products. We will give you a satisfactory answer. I bought the Elegantune after trying the lite version for a year. This is by far the best tuner in the App Store! I've tried many other tuners on the App Store. This one is far superior. 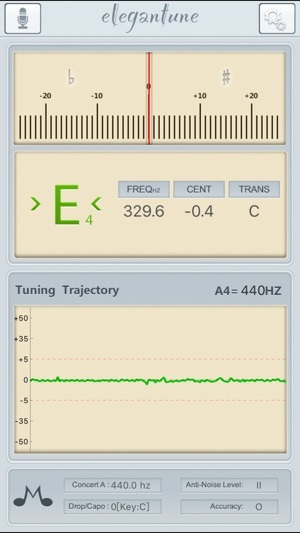 Accurate tuner that allows for change in concert tuning. Very effective for solfeggio tuning.